Clean and stay indoors. 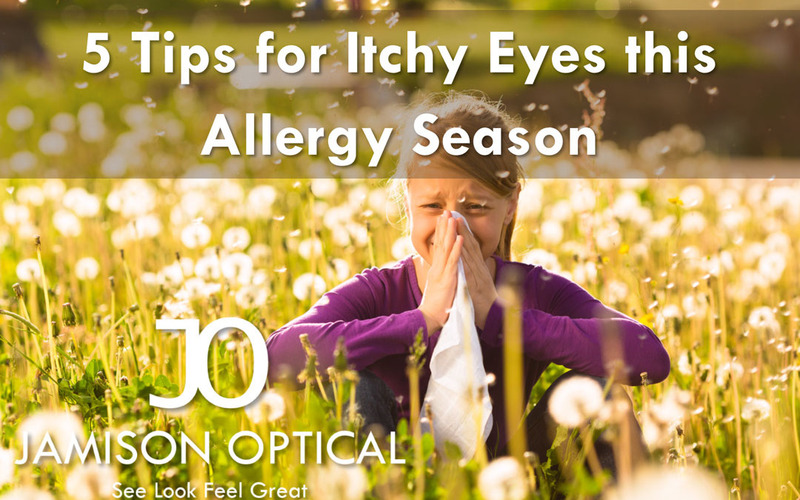 Try avoiding the pollen and allergens that are causing your eyes to itch. Allergies can come from many sources: soaps, mold, mildew, and pollen. Try to find the source of your allergies. Check weather sites like weather.com for pollen counts. Over the counter allergy medicine. Claritin and other antihistamines are a great way not only to deal with that sneezy runny nose but also to getting rid of those itchy eyes. Careful though sometimes they can cause more dryness which leads us to the next tip. Avoid eye drops like Visine and use artificial tears instead. Many eye drops contain tetrahydrozoline hydrochloride which constricts blood vessels to reduce red eye which can give temporary relief but actually cause red eye after prolonged use. Using an artificial tear that mimics a person’s natural tears can wash allergens away from the eyes and help with dry and itchiness. Mark your calendar. You may find your allergies act up at the same time every year. Be prepared and start using your allergy medicine in advance or spending little less time outdoors to avoid the pollen. See your local optometrist. 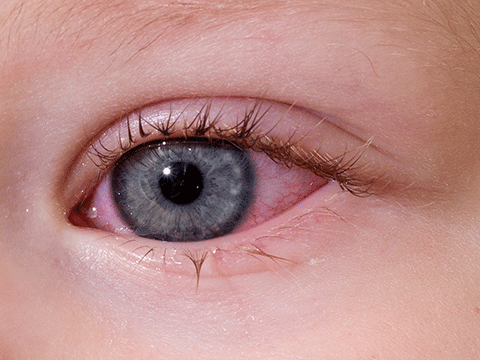 You may find out your red itchy eyes are actually an eye infection. We can help you find other solutions like trying daily contacts and prescription medications. Dr. Jamison has more than 10 years’ experience in eye care and opened her eye clinic in Eden Prairie MN to give patients a more personal eye care experience. Our goals is to help our patients See Look and Feel Great. Our ‘All Inclusive’ Eye Exam is focused on your long term health and giving you the best vision options possible. We believe in using the latest technology and the best materials from brands like Varilux and Crizal. We specialize in our Diamond HD lenses which are personalized diamond cut digital lenses to give you custom vision that you can not get from a one hour lab. Our store has a bright open show room with a handpicked selection of glasses, frames and sunglasses from the top brands in eyewear and exclusives you cannot find anywhere else in Eden Prairie. We accept most insurance: VSP, EyeMed and many others. We hope you will consider using Dr. Jamison as your eye doctor. As part of your regular eye exam your doctor should dilate your pupils to see the back of your eye (retina). The doctor will put eye drops into your eyes that will start the process. After 15 to 20 minutes your eyes will be fully dilated. As your pupils grow your eyes will be more open, letting more light in and allowing your doctor to take a close look into your eye and retina. 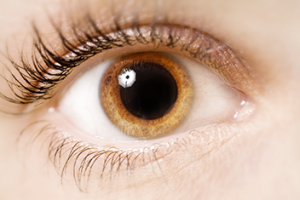 Dilation is important because it allows your doctor to take a close inspection of the back of your eye and retina. We will look for conditions like retinal detachment, cataracts, glaucoma, diabetes and more. Dilation can be a great look at your overall heath because it is the only non-invasive way to take a close look at your nerves and blood vessels. People with diabetes should get regular eye exams to check for vision changes. Diabetes is a leading cause of blindness and early detection can help protect their vision. Your vision will be blurry and sensitive to light for 4-6 hours. You should bring sunglasses to protect your eyes from sunlight after your exam. Many patients are able to return to their normal activities after an exam but be prepared to wait to drive and get your vision back to normal. Eye infections can be caused by bacteria, fungi and viruses. Eye infections can invade your eye and surrounding areas. The most well knows eye infection is pink eye or conjunctivitis. Eye infections are typically viral, fungal or bacterial. – Pink Eye or conjunctivitis – This is a common and highly contagious eye infection that is common among children. 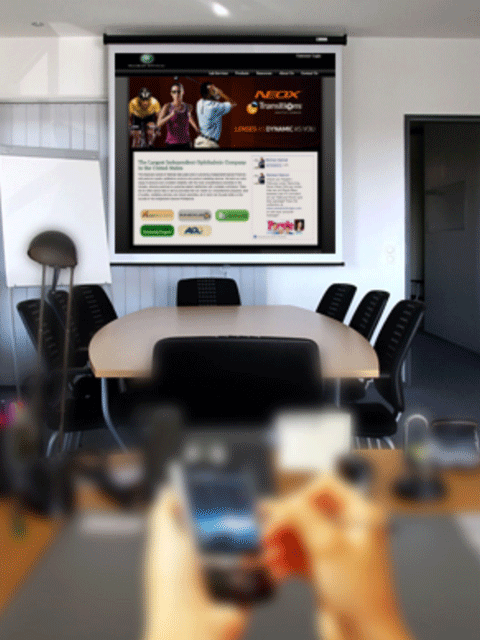 This is transmitted through contact and can quickly spread through classrooms and work places. – Keratitis – which can be viral and fungal. – Acanthamoeba Keratitis – This is a parasite that can cause loss of vision. Contact lens wearers are at increased risk and should observe safety tips like not swimming with contact and or disinfecting contact lenses immediately after. – Endophthalmitis – This is an eye infection that has penetrated into the eye. Endophthalmitis can lead to blindness without treatment with antibiotics. This can occur with an eye injury including complications from eye surgery. Contact Lens wearers are at increased risk of eye infections and should follow proper contact lens care and manufacture instructions to reduce risk. Anytime you suspect an eye infection you should always visit your eye doctor for a medical eye exam. Medical eye exams are typically covered by health insurance even if you do not have vision insurance. If you wear contacts you should wear normal glasses until you see your eye doctor. Bacterial eye infections are typically treatable and clear up easily with antibiotic eye drops, ointments and compresses. Viral eye infection typically are typically treated with steroid cream or drop to reduce inflammation. Viral infections can require time to resolve. Your doctor should create a treatment plan specific to your condition including follow up appointments. If you condition worsens or changes contact your eye doctor immediately. Avoid contact with people with red eye including sharing towels and bedding with family with an eye infection. Avoid touching your eye without washing your hands first. Contact lens care and safety. If you are suffering from these systems and would like to set up an appointment to today please contact us at (952) 934-2084 or schedule an appointment online. 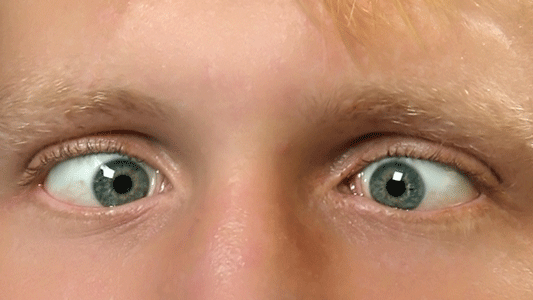 People who have crossed eyes where the eyes do not line up looking at an object is Strabismus. One eye may be turned in, out, up, or down. Someone with strabismus may avoid double vision by using one eye to focus on objects resulting in headaches and eye strain. Strabismus should be treated as early as possible to avoid lazy eye amblyopia. Strabismus can be a natural occurrence happening at birth. Strabismus can also be caused by nervous system, eye muscle, and disorder problems. Eye alignment changes can also happen later in life and can be a sign of other serious health problems like a stroke. A sudden misalignment of the eyes or double vision should be checked immediately. If you or your child is has misalignment issues you should see an eye doctor for consultation. Strabismus in children is often treatable and will help them avoid future eye problems. Vision therapy is recommended for someone who has strabismus. You doctor will develop a plan to help strengthen the eye muscles and train the patient’s brain to align their eyes to focus together. Surgery can also be used to treat strabismus by moving the muscle to either strengthen or weaken the muscle helping to turn the eye in the correct direction. Early treatment is in important so eye problems do not develop and become permanent. Macular degeneration is the leading cause of blindness and vision loss in older people. As you age build up in the center of your retina can cause vision loss in the best part of your vision. Dry Form – The Dry form of macular degeneration is caused by genetic waste deposits building up in the macula. This causes vision loss at the center part of your vision. This form may start with challenges in reading and loss of their central vision. Wet Form – The wet form of macular degeneration is caused by abnormal blood vessels at the macula. 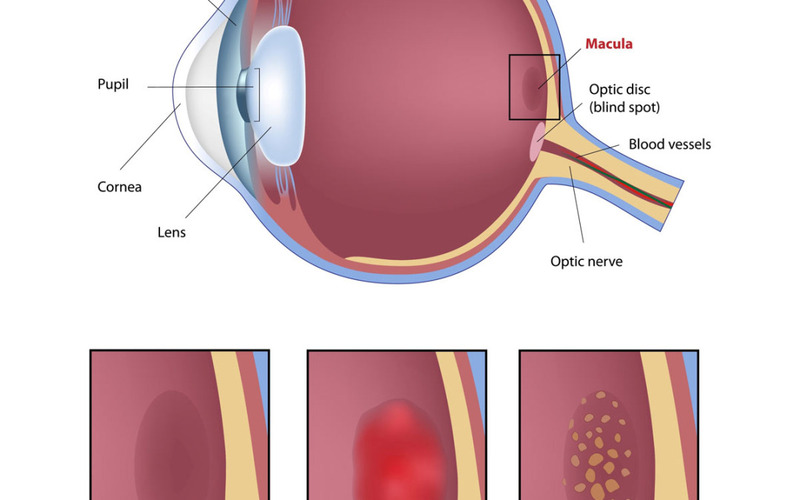 This leak of fluid into the retina causes vision distortion and loss of central vision. Macular degeneration can be genetic and hereditary. The main cause of macular degeneration is age but can also be affected by smoking and high blood pressure. Macular degeneration can be detected in full eye exams during dilation. 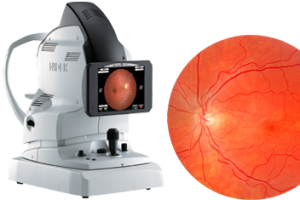 It is monitored with retinal photos and using an Amsler grid regularly by the patient. Currently there is no cure for macular degeneration. Early detection of age-related macular degeneration is important because treatment can slow down and recue the severity of the disease. Vitamins – Eye Vitamins have been shown to decrease the risk of vision loss of some patients. Vitamins are typically used to treat early detection of Dry Macular Degeneration. Zeaxanthin, Omega 3 and vitimens C, E, beta-carotene, zinc and copper are all said to help reduce vision loss. Eye vitamins like Lutein and Ocuvite are recommended treatment options. Surgery and Laser Therapy – Wet Macular Degeneration is typically treated with surgery and laser therapy. This can include laser therapy to treat abnormal blood vessels, surgery to remove abnormal blood vessels and retinal translocation. As you get older you will notice your vision changing and losing the ability to focus on close up objects this is called Presbyopia. 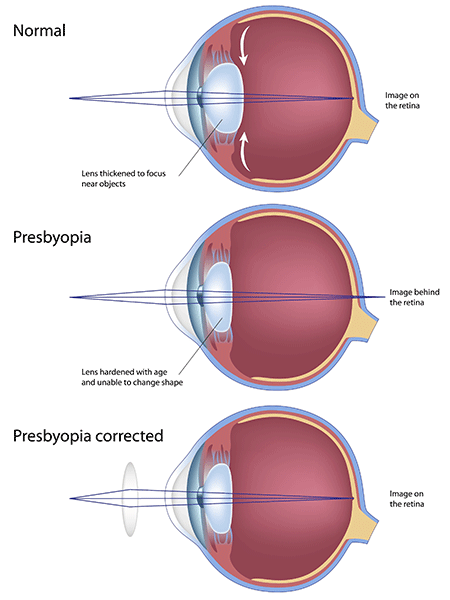 Presbyopia is not a disease it is a natural and normal part of aging. 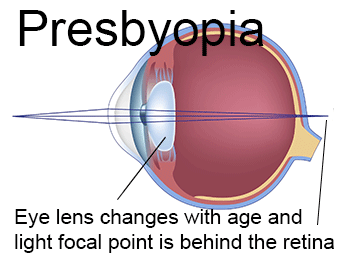 Presbyopia is caused by age and the growth of your eye. Your lens becomes too heavy for your eye to focus. This will happen to almost everyone at some point in their life and starts to appear in people at the age of 40. During a normal eye exam your doctor will determine if you are suffering from presbyopia and to what correction you need. 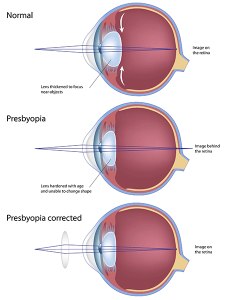 Eyeglasses, contacts and reading glasses are the most common treatment needed for presbyopia. Progressive lenses, bifocal or trifocal, lenses are commonly prescribed for patients that have hyperopia or myopia and have gotten older and are suffering from presbyopia. These multifocal lenses allow patients to have different prescriptions for distance and near vision.